If you haven't already heard, Heidi from Fabric Mutt and Lori from Lori H. Designs have teamed up to co-host a blog hop all about Amy Butler's fabulous Weekender Bag! These bags have been popping up all over blog land lately and if you have considered making one yourself, this is the blog hop for you! Starting November 9th, a great group of bloggers will be showing you their version of the bag and giving you some tips for making your own. Check out the schedule here. 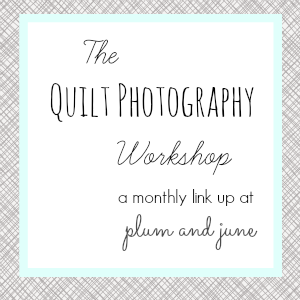 I am really looking forward to this blog hop - after the informative weekender advice posts above and all the posts to come, I really have no excuse not to at least try, right? I've already started thinking about fabric choices. Or maybe I'll just go totally scrappy with no specific color palette? I have to first work up the courage to make one - all the talk of broken needles scares me a bit! 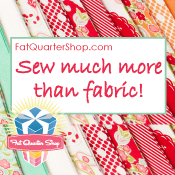 To help start off the blog hop, Pink Castle Fabrics is giving away 2 of their random fat eighth bundles to one lucky winner. To enter the giveaway, just leave a comment on this post. Any comment will do but if you want a topic, how about whether you think you might make one of these bags and if so, if you've thought about fabrics yet. The giveaway will remain open until November 3, 2012 at 8pm EDT and one winner will be chosen at random. And please, unless you are sure that you are NOT a no-reply blogger, leave your email address in your comment. This giveaway is now closed and the winner is #99 Judith. Ooh those are both good stacks! I can't decide what I'm going to do so I think I *may* make two - I know I'm crazy! I would love to make a weekender. I'd try a scrappy texty fabric one if I had a place to go for the weekend. I just ordered the pattern...OMG would love to win! I think this might be what I make my mom for Christmas! I want to make one of these bags, and have about 100 different fabric ideas rolling around in my head! Winning this would solve my indecion LOL Thanks for the chance to win. I haven't considered making a weekender yet, I'm still loving making many many Jane Market Bags! The bag is gorgeous but i wouldnt know what fabric to use!!! I might just make one - living in hope that one day my husband and I might get away without the children - even if only for one night! Look forward to seeing what you come up with. This bag is definitely in my future...in Kate Spain, maybe. 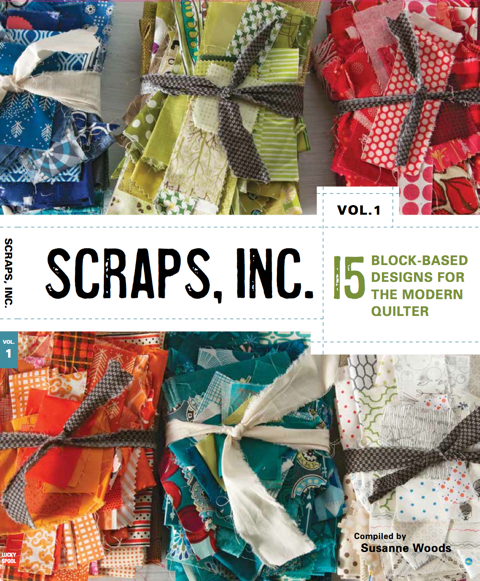 It's on my 'must make' list and I've planned to use scraps. 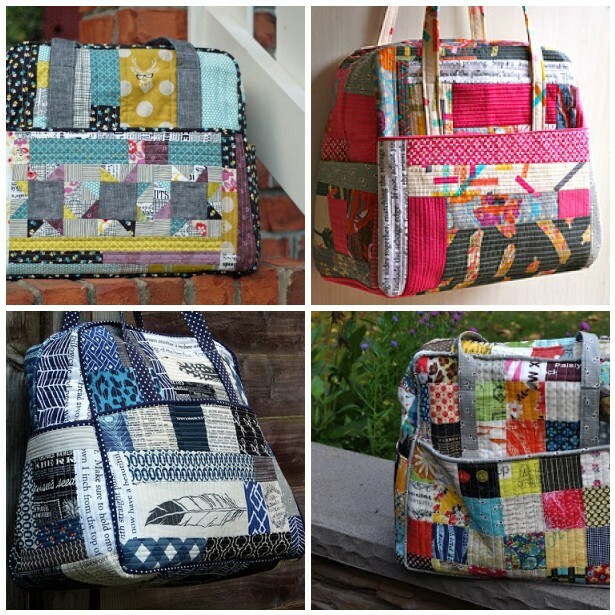 I would love to make one of these bags..I love scrappy! I love Pink Castle Fabrics and have ordered from them several times - they have fantastic shipping rates to Canada! That first color line you pictured is my favourite - judging by how my bags look after a few uses, I would stick with a darker colour myself for a bag that will get lots of use, lol! I would love to make one of these. I think mine would have to include gray and aqua fabrics for sure! I might make one, but not at this moment. If I did make one though, it would be for my mom. If I made a weekender bag, then would I actually have somewhere to go? Well, my DD did ask me if I would come up and spend a week with her and her girlfriend.. so that might work. Oh, I'm definitely going to make one of those bags, but it might have to keep until after the holidays (too much "other" between now and then). I'd love to make a weekender but I would need a lot of hand holding!! I'd like to make one, but I'm with you, the talk of broken needles makes me nervous! Maybe after Christmas? I'm not a real bag lady so I don't think I'll be making one though they do look pretty neat! It is a fabulous bag. I've been thinking about making one, mayve after the holidays. I looks like it is quite the project. I love your first choice of fabrics, it looks so bright and warm at the same time. I finally bought the pattern and I am contemplating a few charm packs of Mama Said Sew for it. May need to make one - but it will be a maternity bag... So asap would be a good time, right? I would conssider making this bag in the GeoCentric canvas - if I could get up the nerve :-) Thanks for the encouragement! I think making one of these bags is a bit too much for me, although I do admire their shape, super nice pattern. And these patchwork work you should certainly have an extra wow factor to them. I want to read the tales of making this bag before deciding if I want to try. Looks complicated, but the results are gorgeous! THis bag would be advanced for me to make but I would make it with Echino's deer in glasses fabric! I'm amazingly in love with the first stack. I love this bag, I have everything ready for it except the massively long zip, just need the courage now! And of course, although I have several fabric ideas lined up, a fat eighth bundle to give me extra inspiration wouldn't go amiss! Ill definitely be having a go at one of these, when I'm a bit more experienced! I'd base mine around a green and purple palette as they're both my favourite colours. I've been wanting to make one of these for a while.. this sounds like a great time to try it! :D I haven't thought about fabrics yet, but I really love all the patchwork ones I've seen. I've been thinking of making this, but I feel like everyone who writes about it talks about how challenging it was to complete. I can't lie, I'm pretty intimidated. Hi!!! I have been seeing them everywhere too!!! I would like to make one but I don't have the fabric picked out yet!!! HI! NEAT BAGS! AND YES,I'M THINKING OF MAKING ONE-MIGHT CHOOSE PURPLES+GRAYS? I think I would like to make one of these bags. No I have't thought about any color combonation yet. Thanks for the chance to learn all about these bags and the give away. I want to do it as a QAYG. I'm thinking maybe using scraps. Love the bag! I think I will make one in a scrappy fabric combination. Thank you for the great giveaway. I have the pattern, but I have yet to make this bag. This is the first time I've seen a patchwork version and I'm in love. I think I like it better than the original. I really want to make one of these and will as soon as I have worked up the nerve! I haven't made a bag in ages, and this one is really nice. Thanks for the chance! I haven't made a bag in a while but would love to make this one! Thanks for the chance to win! I'm definitely thinking of making one of these bags. I actually just bought the pattern the other day. For fabrics I'm thinking of doing a scrappy patchwork using Japanese prints-- I'll probably use either some Echino or Melody Miller prints. I would love to try to make this bag, but I really need to start at the more beginner bag level and work my way up to something like this. I have bought the pattern a year ago and have still not even gotten fabric for it yet. I am going with the right fabric has not spoken to me yet and I am a little scared to have a go. This may be just the push I need. I've thought about making this one too! I love both of your fabric pulls for it. 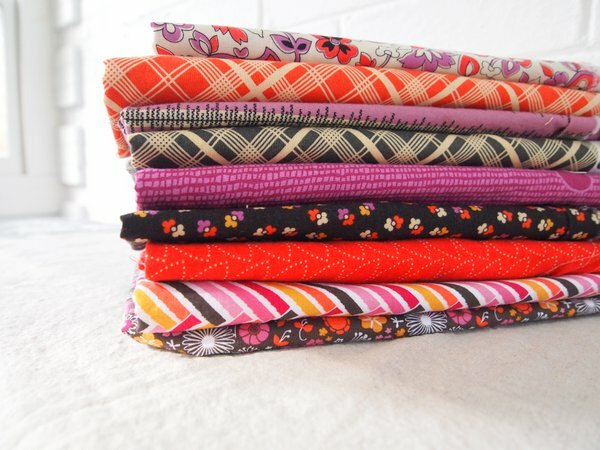 I may use the charm packs I've been hoarding from Bonnie & Camille fabric lines... Ruby, Vintage Modern, Marmalade. I won't be making a bag, but I'm going to have fun following along. I like your second batch of fabrics best--for me, they would please for a long, long time. Thanks for the chance to win. I am shaking in my boots thinking of making a bag but I'll enjoy looking at everyone else's. I'll stick to quilts for now! Enjoy your day. I should buy this pattern. I love these bags so much! I'm pretty inexperienced in the bag making department, but this is definitely on my list of things to do once I get some practice on less complicated projects! I have had my eye on this pattern for a while. I think I might give it a try. I can always use another bag. I enjoyed seeing the pics of all the pretty bags. Not planning to make one right now - too much on my plate. But I'd like to try one some time in the future. Thanks for the giveaway. I must have had my head under a pile of fabric recently because I've missed seeing those bags. Of course I want to make one now :) I'd probably go really scrappy or use some of my Tula Pink favourites. 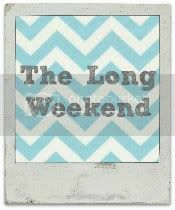 I actually have a Weekender, but I didn't make it. My mother made it as a Christmas give a couple years ago. She did it with a fabric I absolutely adore: Amy Butler's home dec paradise garden midnight. I use it all the time. Also, it's big enough to fit my Bernina inside if I want to carry her around. Still, I'd love to try one myself, too! This is such a great bag! I think the Essex Linen in Black sounds great! I would love to make one but my skill set isn't there just yet. I've never made a bag, or put in a zipper so for now I will just follow along. Thanks for the chance at your giveaway. I've been ogling this pattern for over a year, but can't find the time to make it:( I might go for the darker pallett, to better hide any dirty marks... However, I am making something with those exact fabrics so I might be a bit biased. I like both of those color ways so it would be hard for me to choose just one. I'm very interested to see all the great versions that are being made. Beautiful material and beautiful bags. Everyone does such a nice job. Nice give away. I like both of those bundles but I like the orange and purple one better. I think the back would look amazing made in the fabric in the top stack - love the colours! And I hadn't really thought about making one for myself although seeing all of the fabulous photos of the weekenders turning up is starting to sway me. I have been collecting textured Japanese fabric and complementary lining fabrics for such a project. This weekender bag will be perfect. I better get the pattern so I'll be ready for the bloghop. I have 3 grown daughters who would love these for Christmas. I've thought about it, but I'm not sure yet. I would probably use a home dec weight for the exterior. Looking forward to seeing yours! I'm not sure what fabric I would use, although I wouldn't do a scrappy one or use too many different fabrics, not for a first try of something so challenging anyway! I've got my fabrics...some Oh Deer! Now to work up the courage to begin the cutting. Love the bags. This needs to get on my too do list. I would love to try, but I'm a little intimidated! Maybe, as I watch everyone's progress, I'll gain some confidence! I have made (the exterior) of the Weekender. I didn't use patchwork - are we supposed to only do patchwork? Well, anyway, it looks pretty cool, I think! I only broke one needle. Going slow over some of those thick seams is important, along with all the other bits from those who are blazing the trail! I made templates of the pattern pieces - they have to be cut so many times, plus I think I'll make another (patchwork, perhaps!). Thank you! I'm scared of making a bag, though have an itch to do so. This puts me on the fence. I like your first group of fabrics best. Thanks for the chance to win a lovely bundle from pink castle. I probably wouldn't make a bag for myself, as I sew for World of Charity Stitching, where we make tote bags for seniors and children. I could make some nice bags with this fabric, I'm sure. I totally want to make this bag and just bought the pattern! Hard part though is narrowing down the fabric choices, what type of handles, to patchwork or do it just one piece, etc. Can't wait to see the other bags so I can just copy one :) Thanks for the giveaway! I just bought the Weekender Bag pattern during our Sewing Summit Shop Hop (where I got it for 25% off). Now I have to select fabrics. EEEEK! I think this bag looks like something I would have fun creating. I just need the push to start. I like the first bundle best. It has been in the back of my mind to make a bag so let me win. Thanks for the chance. I have seen these all over and they are so cool! Especially if you are going somewhere--like a retreat or conference! I love your first stack of Chicopee! I have considered it but am kinda swamped until after Christmas, plus from what everyone says it is not a piece of cake to whip up! Thanks for the chance to win! I have not made one, I'm not sure I will because of the huge zipper! I'm scared of them if they are not attached to a small pouch. I love the way this bag looks, but I wonder how much it holds. People seem to be using it as a large handbag or tote. If it really is big enough to use as a weekender, then I'd definitely make one. I definitely want to make one of these weekenders and I think the Millie's Closet fabrics in my stash, especially the dresses and purses, would be really cute in this bag! I've got three in the works - one "normal" one, one scrappy one using Gypsy Girl and another scrappy Christmas one. Yes, I need a Christmas one. Oh, I'm definitely going to make that bag. I love Amy Butler and have made several of her things, and have two of her books. 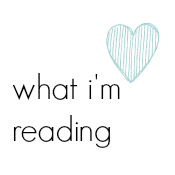 Thanks for the info on the blog hop! I can definitely use the tips!! The bag looks difficult to make though it certainly looks pretty:) cant wait for your version! I've thought about it, but I don't need another project just yet! Maybe next year! All of the lovely photos of these bags have definitely whet my appetite! I can't wait to make my own. I'm looking forward to seeing yours. I do fancy making this bag, but I'm a bit worried it wouldn't be big enough for me. Thanks for featuring my weekender Beth! I don't think I would be brave enough to make one but I would definately buy one! I like your first choice of fabrics. I don't think I am up to making one just yet but Laura Jane's beautiful navy blue weekender is amazing! I'm planning to make one, got my pattern and peltex and cotton duck today! I'm going to raid my stash for black, white, green, grey and texty prints. I will definitely be making this bag. I love your first stack of fabrics! Oh I love these bags!!! I would love to make a bunch for Christmas gifts next year...7 kids (girls, don't think the guys would use one unless I made it with camo), 3 nieces, 2 SILs, 1 baby on the way, dear MIL...14 plus a few for me!!! Maybe 20...that's doable!!! I've been meaning to make my Weekender bag, need to get on it! Add me to the list of people who are contemplating making a Weekender bag. I am considering using my Bella fabrics. Thanks for the chance to win. I've made one, but seeing all these lovely scrappy ones has me itching to make a cute new one. It sounds like it is a little hard on the needles when putting it all together, has anyone found a solution for that? I don't think my sewing skills are quite up to this yet, but who know, I might try it! I'm making one for my sister for christmas. So far I've bought the pattern! I am making one for me, I really want to do a scrappy one, but first I am making one with some Vintage Modern. Maybe if I have 2 I can take a trip....or my girls can use them for visits to grandmas. I've already gotten started with my piecing for the panels. I so would make one to match my rag quilt that I finished a few months ago! Whats a broken needle but proof that I am trying! I really want to make one of these bags, but I'm scared of them. I feel like my machine probably couldn't handle it either. I've had my eye on this bag as well. 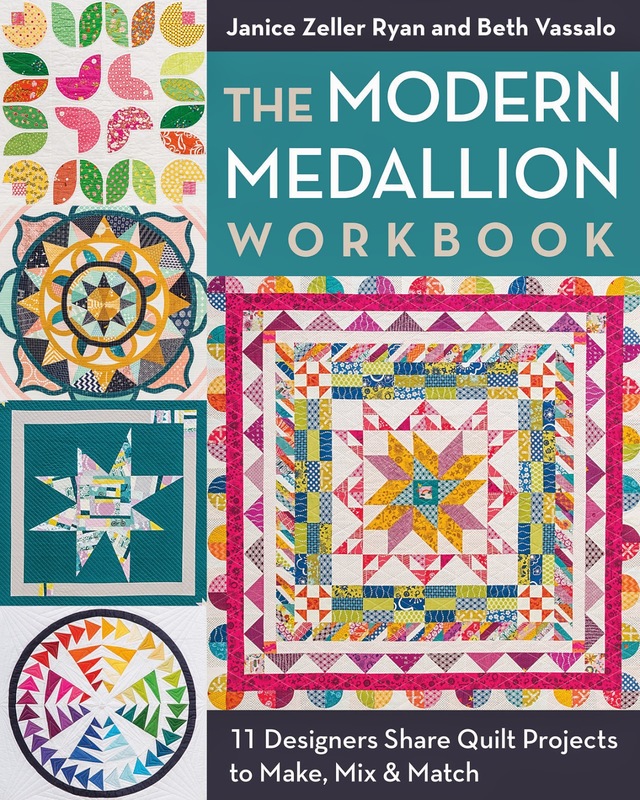 My favorite is by Elizabeth Hartman shown at http://www.ohfransson.com/oh_fransson/2012/10/how-to-make-quilted-panels-for-a-structured-bag.html. I just this week broke down and ordered the pattern. Thanks for the chance to win and good luck with your bag. My pattern has just arrived in the mail and I'm debating over some mixtures of amy butler/camera fabrics that I love. Definitely making one. Have the pattern just need to decide on fabric. I was also thinking that maybe I will do an applique panel on the pockets. Thanks for the giveaway. I'd love to make one of these, but it wouldn't be anytime soon. I love the patchwork square one you show! I have the pattern and am dying to make one -- just need to decide what fabric to use. I want to make it scrappy for sure. I have the pattern for this and ordered some fabric for it but I like this fabric so much more its untrue and would love to win it please. Woaw - love this bag! I will start choosing fabric! I'd really love to make this bag but I have to admit that I'm intimidated...maybe the blog posts about other people's experiences making them will encourage me ! I've never made a bag and suspect that this one shouldn't be my first, so I won't be participating this go round. I do adore all things scrappy though and look forward to seeing what you come up with! 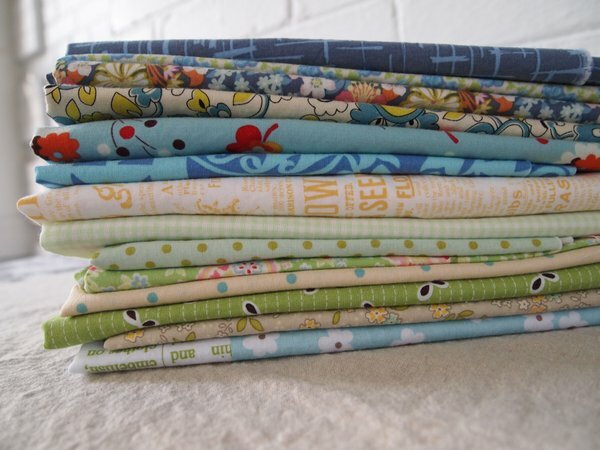 I spy Chicopee - I have a FQ bundle of this too. Love it! I haven't taken the weekender plunge yet, but I love it in Echino or Melody Miller. Thanks! Would love th fabric...of cour! Not sure about making one, but if I did, I am thinking this could be a great bag for baby! We will see...I think I would want to use something that could be child-friendly, but not too babyish! I would LOVE to make this bag! 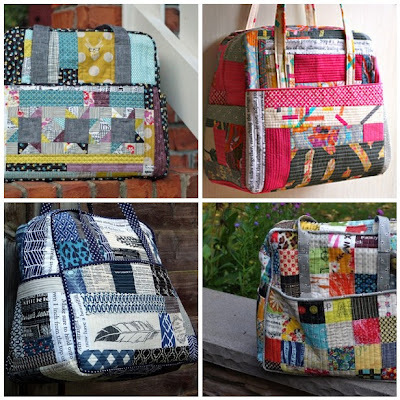 I've loved all of the bags made by various bloggers & the ones made for Sewing Summit. 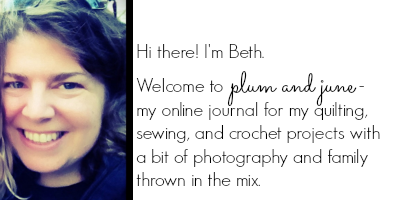 The blog hop has given me the confidence to jump in & give this one a try - I would not try this one on my own. I haven't decided on fabrics but am leaning towards patchwork. Thanks for the lovely giveaway. Wow. Patchwork really made it look different. I like it. Thanks for the giveaway. I love the pink and orange stack, they stripes are gorgeous. I would make one of those bags, it might take me a year or two, but I might! Thank you for the great giveaway! I like the look of the bags! I've never tried making a bag - might be fun! I have a travel duffle bag that I'm anxious to make for myself. I made one for my cousin, stupidly didn't even take any pictures of it, and wish I had made one for me at the same time! I love working with fat eighths! Bags are difficult for me, but I am collecting some patterns that I would try. I made one in Zakka but it wasnt as good as all the others, I need more practice. Thanks for another fun giveaway Beth! I don't think bag making is my thing (other than little tote bags for the kidlets!). I'm a bit scared of the Weekender though it does look rather fab! Great giveaway! I want to make a weekender sometime... they look awesome. Thanks for the chance! I am also working up the courage to make one of these!